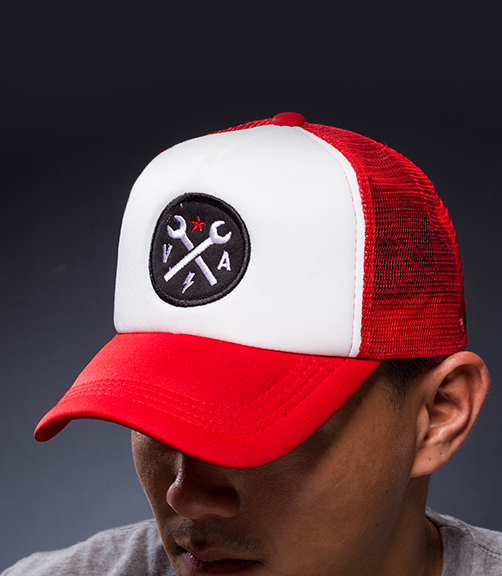 Here are some of my favorite cap designs. 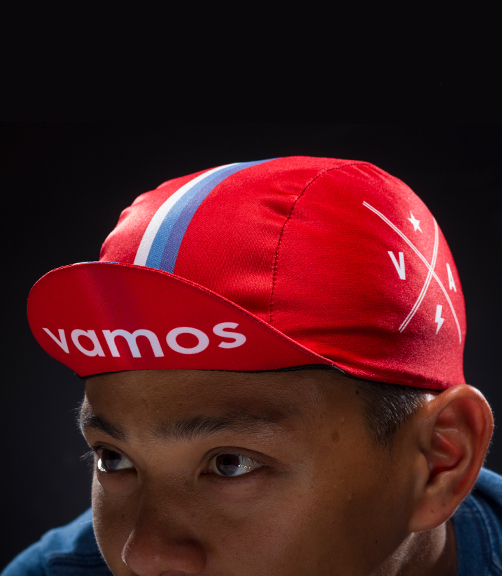 The caps, like the other products, come in an assortment of colors, from fluorescent to dark. 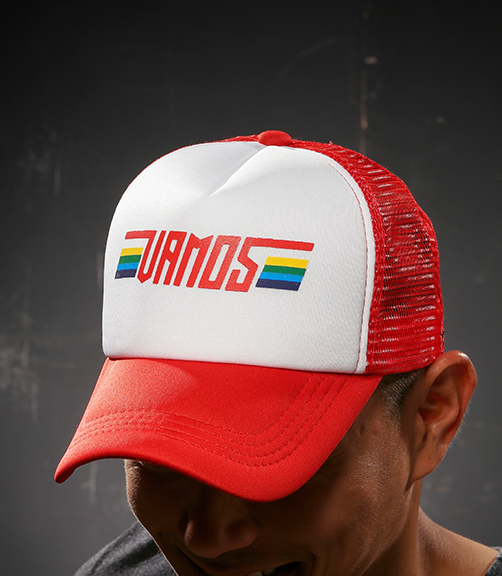 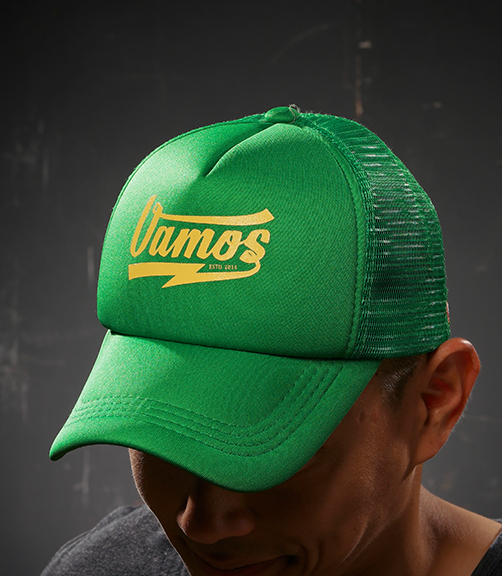 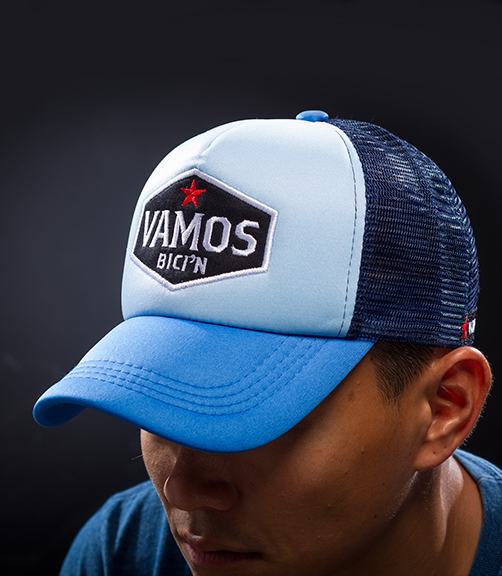 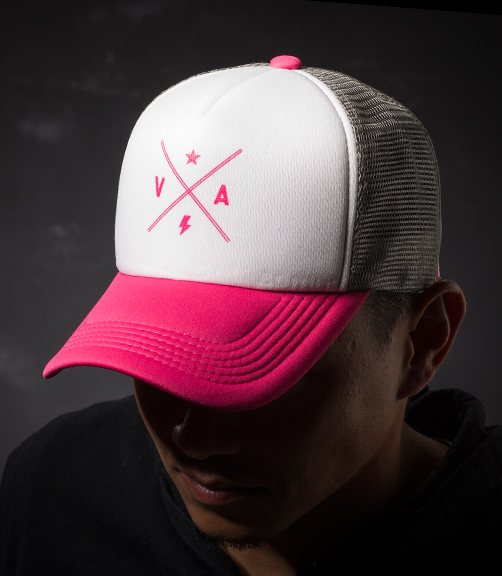 It’s also fun designing these trucker caps because it’s different from socks and cycling kits which are more on patterns and textures. 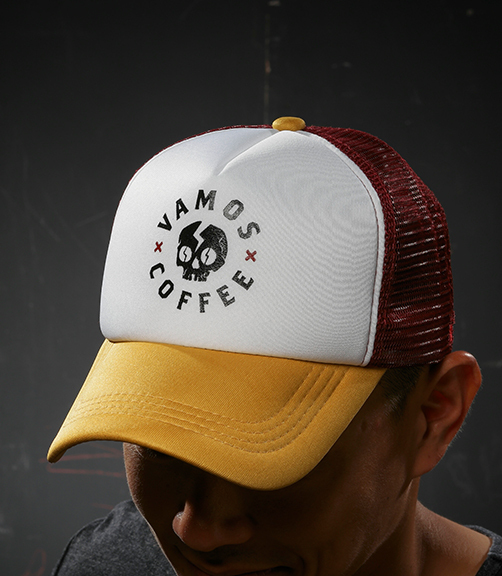 It’s closer to designing shirts. 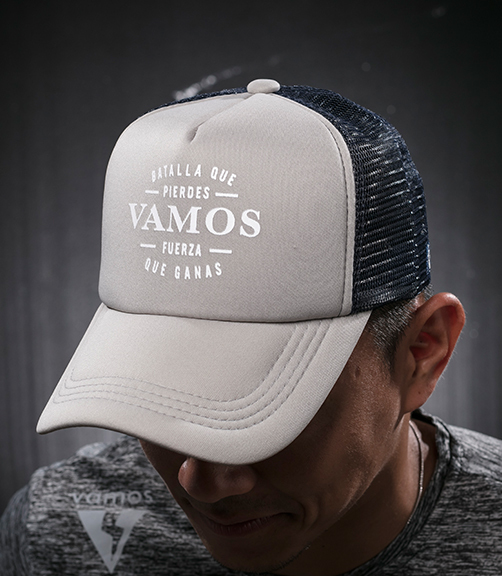 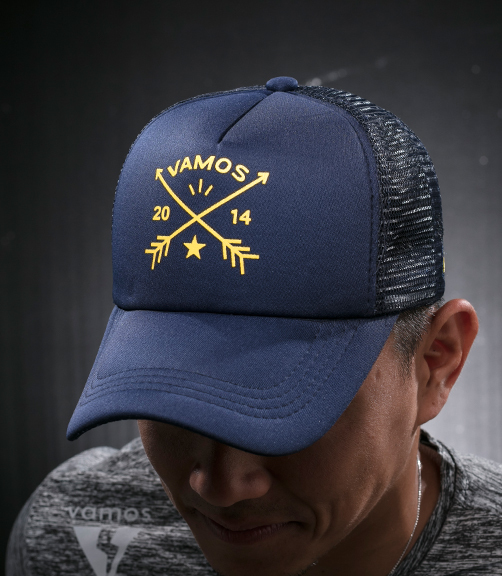 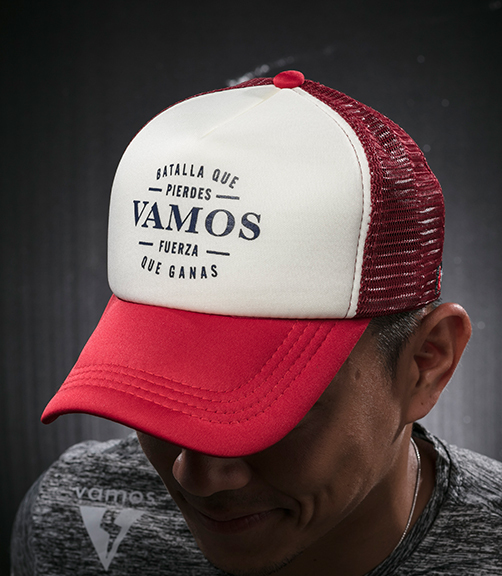 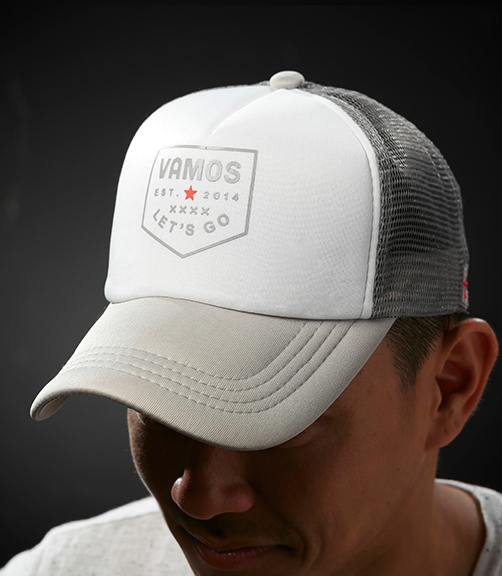 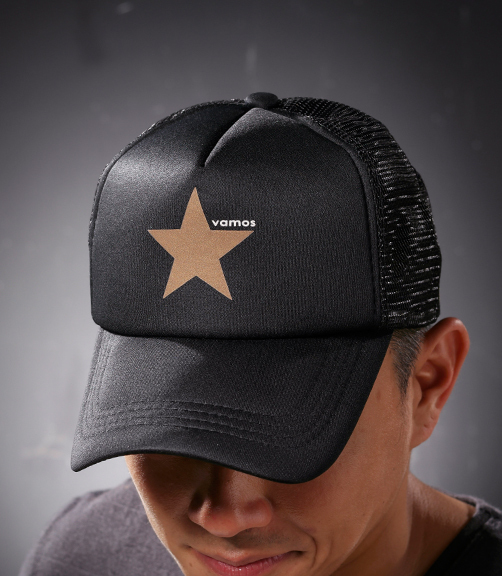 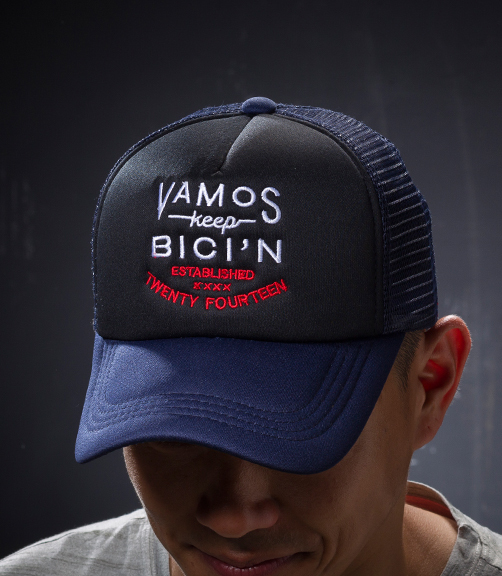 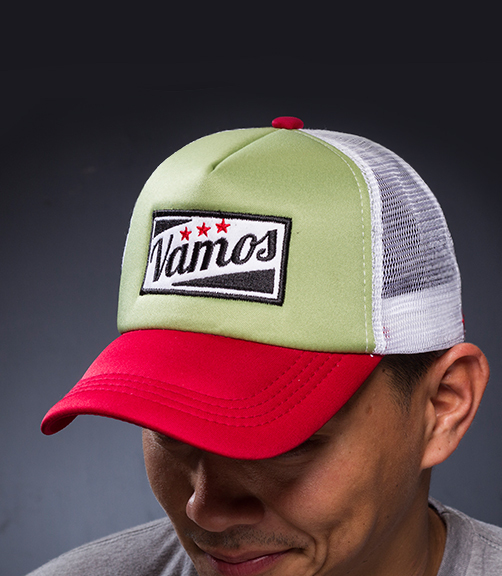 I get to play with typography; I get to translate the Vamos logo a hundred different ways. 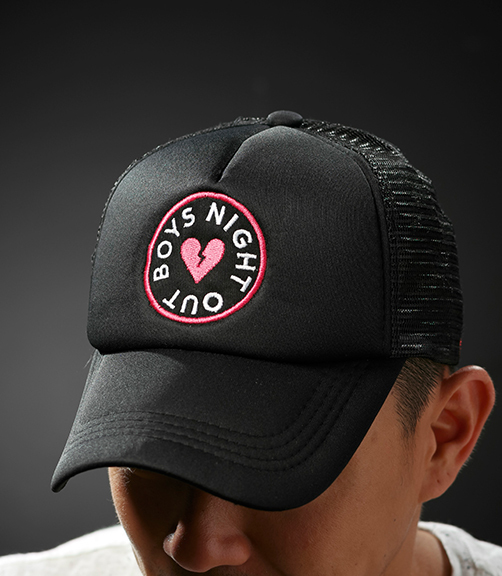 And it’s actually like making a different logo everytime! 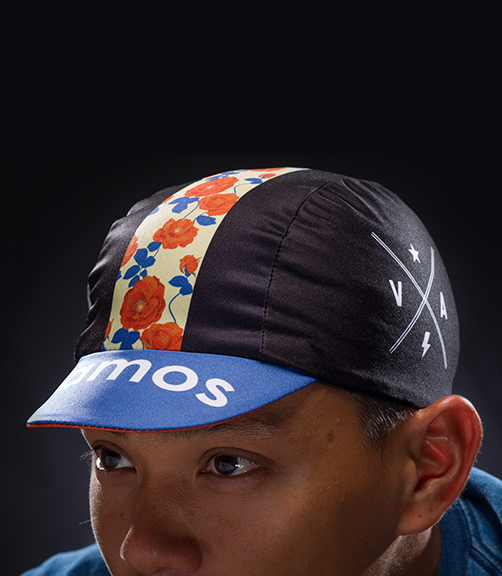 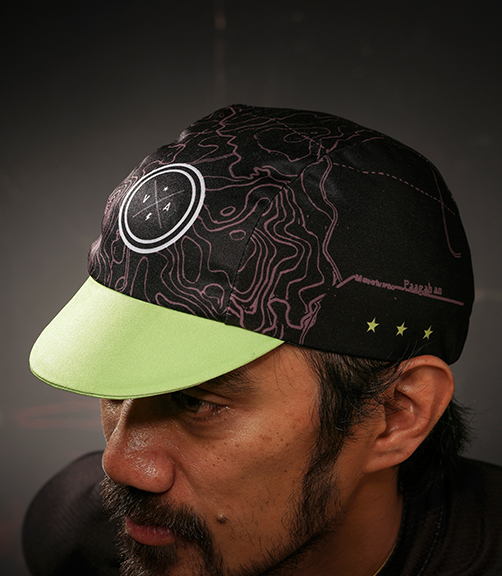 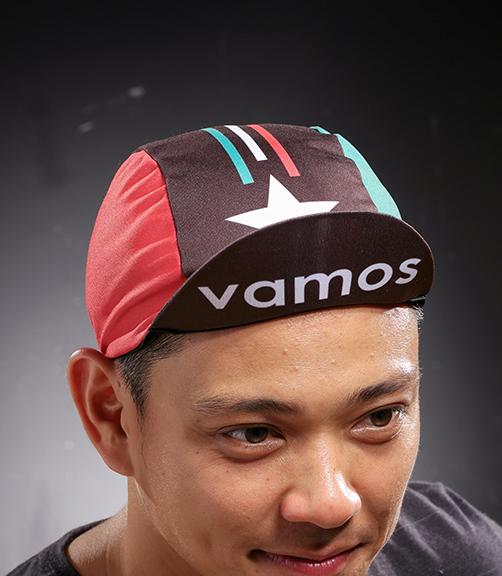 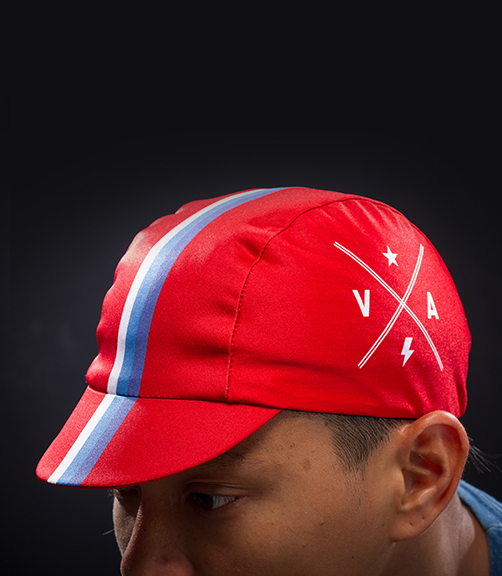 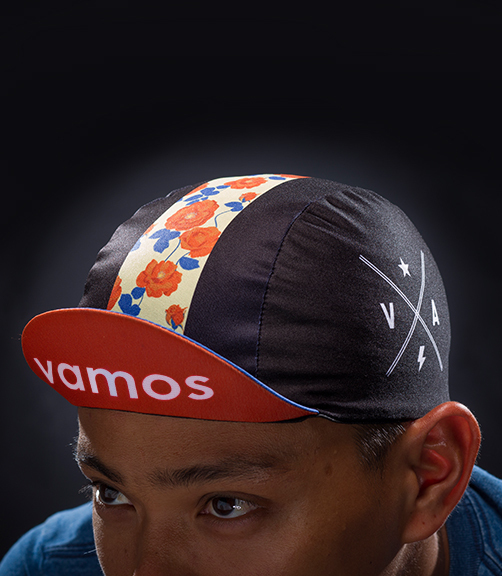 Cycling caps, on the other hand, are designed very much like cycling kits, because of the overall print and because the look is focused on cyclists.